The stadium in southern Brazil is among the largest sports venues by capacity in the country. 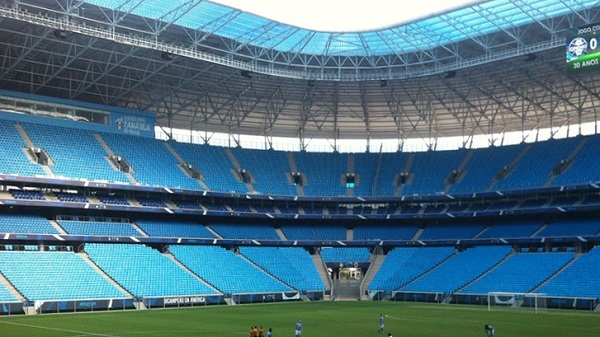 Tenants Grêmio drew an average attendance of 22,000 in 19 home games in their first domestic football league season at their current home. They won the Copa Libertadores, the South American championship for football clubs, in 1983 for the first time in their history. The same year, Grêmio won the Toyota Cup, the former world championship for football clubs. In 2017, they reached the final of the FIFA Club World Cup for the first time in their history. Real Madrid won the game 1-0 in front of 41,000 people in the United Arab Emirates.